Samsung Gear Sport vs Samsung Gear Fit2 Pro. Which should you buy? 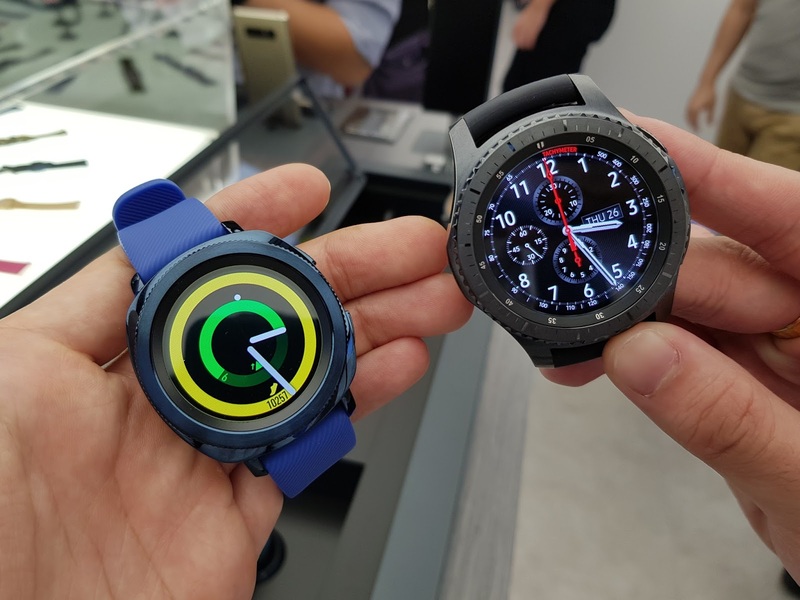 Samsung Gear Sport vs Samsung Gear Fit2 Pro. Which should you go for? 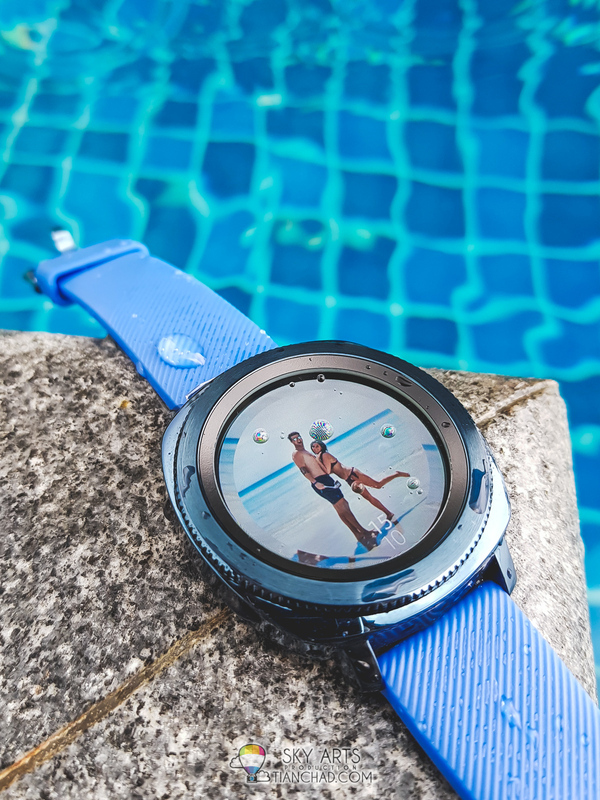 "Samsung Gear Sport vs Samsung Gear Fit2 Pro"
The very good news for me is that both Samsung Smart Watch are water resistance with 5 ATM (water resistance rating of 50 meters under the ISO standard 22810:2010.) 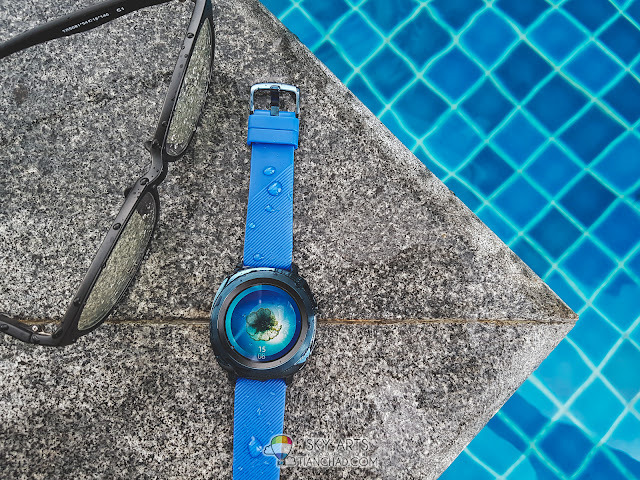 So it is good to wear it when you swim, and of course, you don't need to take off your watch when you take a shower. I've brought the Gear Sport for a dive below 30 meters in Philippines. It still function all good and prove the capability of water resistance. 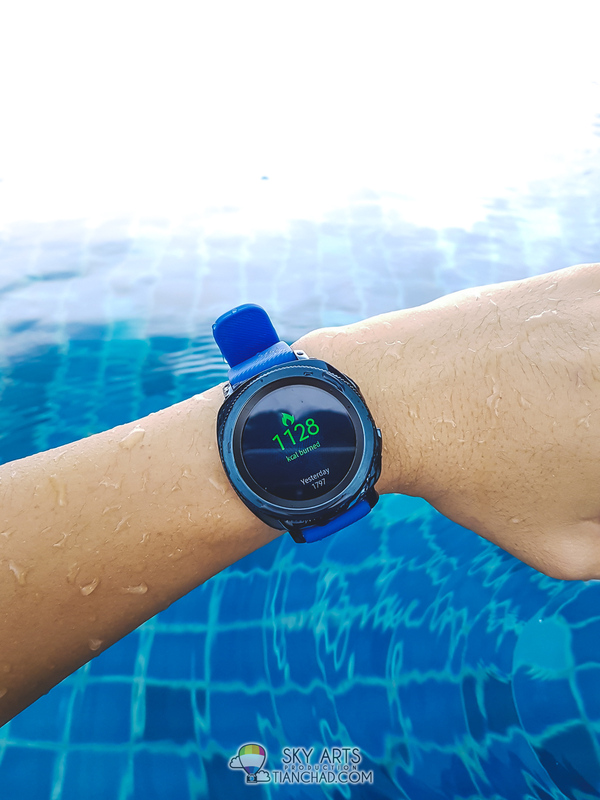 As for Gear Fit2 Pro, I only wear it when swimming in the pool and use the "Speedo On" apps to track my swimming laps and time. Pretty cool for first timer like me. 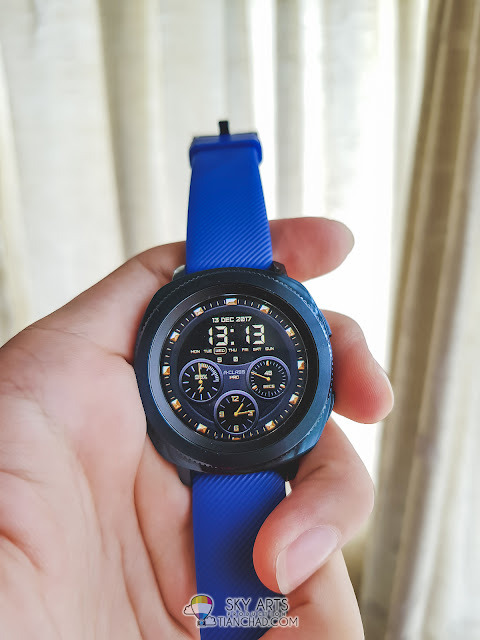 I like both the watch design as they are both much more sporty look when compared to previous generation. The most prominent improvement would be the watch strap. I personally love the twist-able Bezel ring on Gear Sport as it allow me to have more control on the watch. Not just depending on the touch screen and the two buttons. 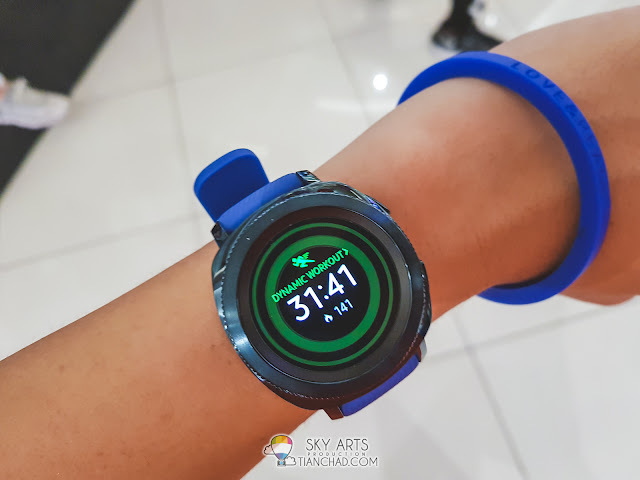 Both can have customized watch face but Gear Sport can have much more variety of watch face including using your own photographs as the interactive wallpaper. You can choose up to 10 different photos and switch it with just a simple tap on the screen. Samsung Gear Fit2 Pro is unique with its longer watch face but it shows what you need in one same screen. You can see your daily step, whether you climbed floors, your heart-rate and of course calories burn. While reviewing these two Samsung Smart Watches, it somehow really encourage me to visit more frequent to the gym. Or at least stay active from time to time doing body twist after sitting in front of the PC for too long. 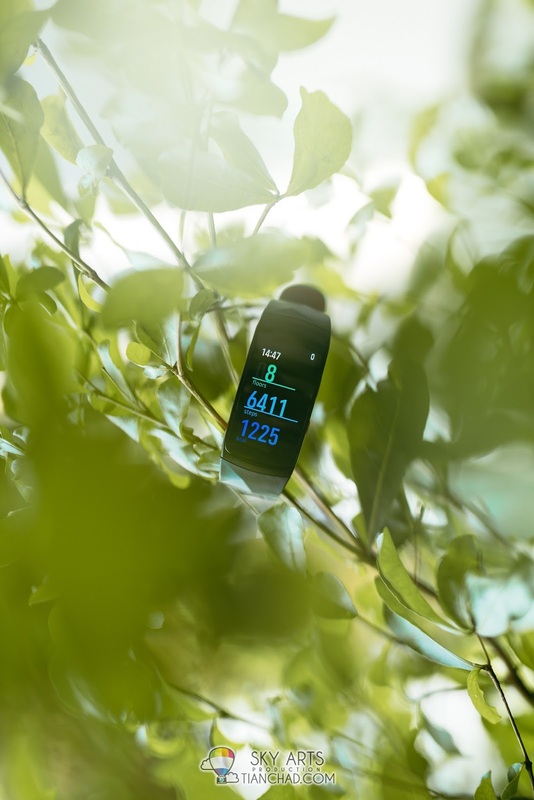 Both Gear Sport and Fit2 Pro will reminds you to move your body when you are inactive for too long. I would say my weight loss is party contributed by these smart watches. 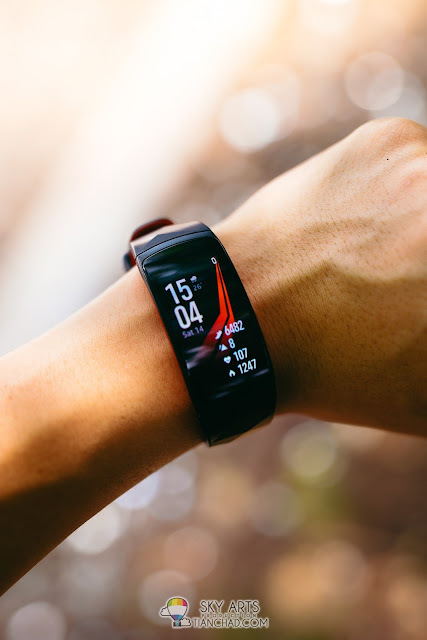 Both Samsung Watch has the ability to continue track your heart-rate but it will highly affect your battery life if it is on all time. Usually I only use Always Auto HR when I do dynamic workouts. If compared about performance, Gear Sport has less waiting time when I want to turn on certain applications like Spotify, Speedo On and other apps. Samsung Gear Fit2 Pro has little slower response speed but it is all good when I use it to track my exercise and daily routine. Battery life seems shorter than what was advertised. After all their battery capacity is only 200 and 300 mAh respectively. Gear Sport last longer because it has bigger battery. When I switch on notifications (Facebook, Instagram, Whatsapp and Twitter), they can preview your message accurately. Love it when the watch can display instagram photos. 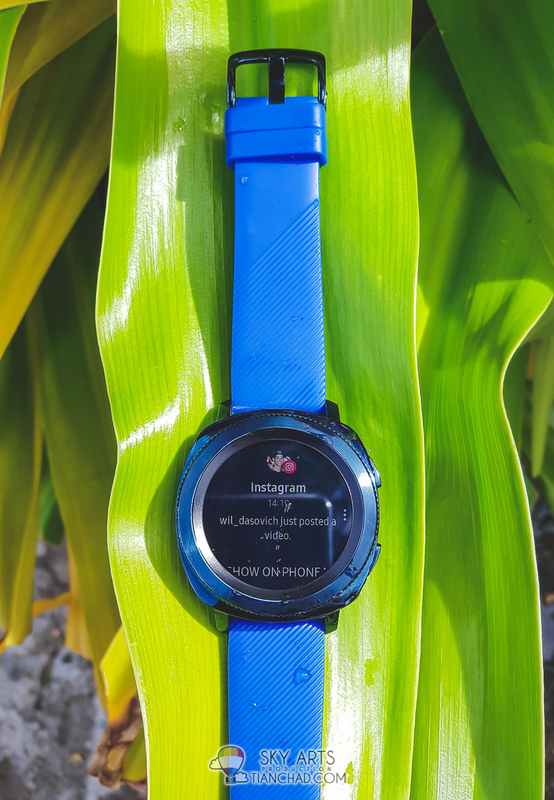 Instagram photos actually looks better on Samsung Gear Fit2 Pro because of its long rectangle watch face. You can do simple Whatsapp reply on your watch too, message like "Ok", "Yes", "No" and etc. I truly hope that the next generation of Samsung Smart Watch will have speed charge capabilities because I like to use it 24 hours to track my daily activities including how I sleep throughout the week. Instead of USB-C, Gear Sport Charger is still using USB port cable hence you will need additional cables when you travel. 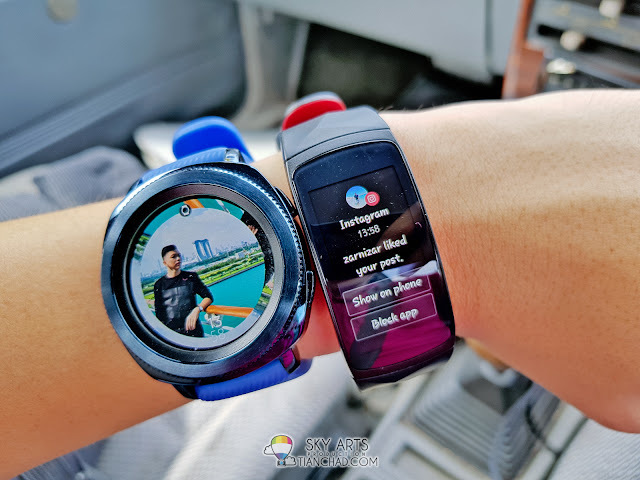 Samsung Gear Sport and Samsung Gear Fit2 Pro are priced at RM1299 and RM799 respectively. I wouldn't say they come in a very welcoming price, but if you are considering which Samsung Smart Watch to go for. 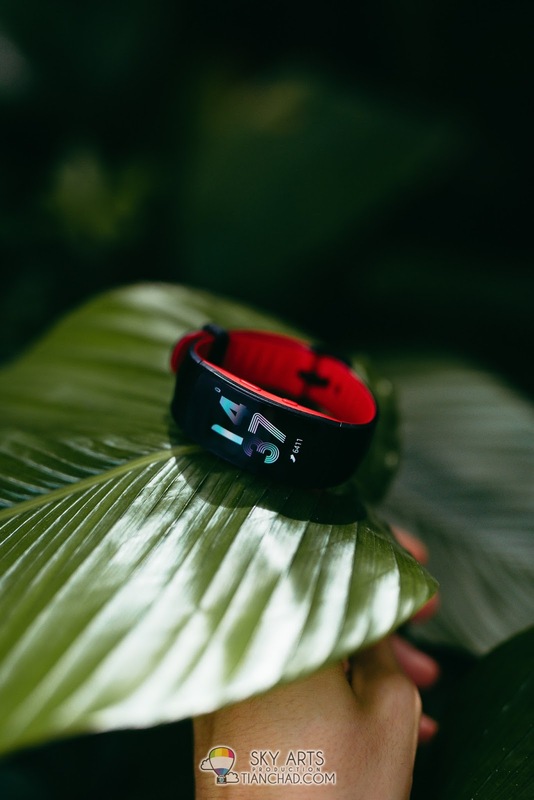 Get the Gear Sport when your budgets allow because you can have more controls on your smart watch, faster and smoother performance, longer battery life, more personalisation can be done by changing your watch straps and watch face. You can always change the watch face to something more casual when you attend event/wedding. However, if you are planning to get a smartwatch to track your daily fitness level, Gear Fit2 Pro is actually good enough to do all the things we need to maintain a healthy lifestyle. I've manage to visit the gym more frequent because I can track my daily calories burnt, heart rate after I do cardio and all these create the motivation for me to stay fit. Almost forgot to mention about the one cool thing about Samsung Gear Sport. You can activate and pay your McDonald order in Malaysia using Samsung Pay on your Samsung Gear Sport. Yeapp! Samsung Pay on your smart watch!! Hope you like my quick review of these two Samsung Smart Watches. After all, able to hit your fitness goal is the final outcome we need. 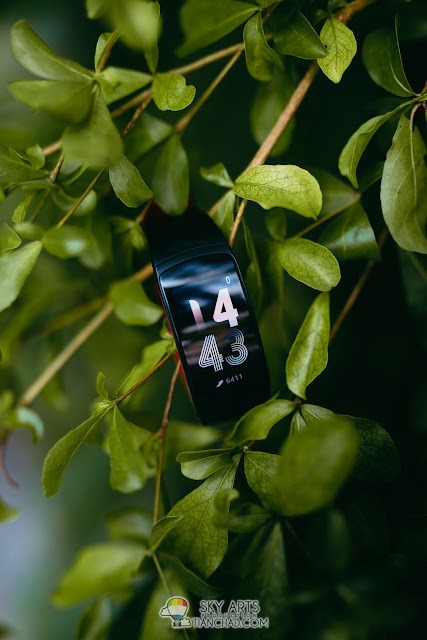 Leave a comment below about which Samsung Smart watch that you're planning to get, or even if you are already a Samsung Smart Watch owner like me. 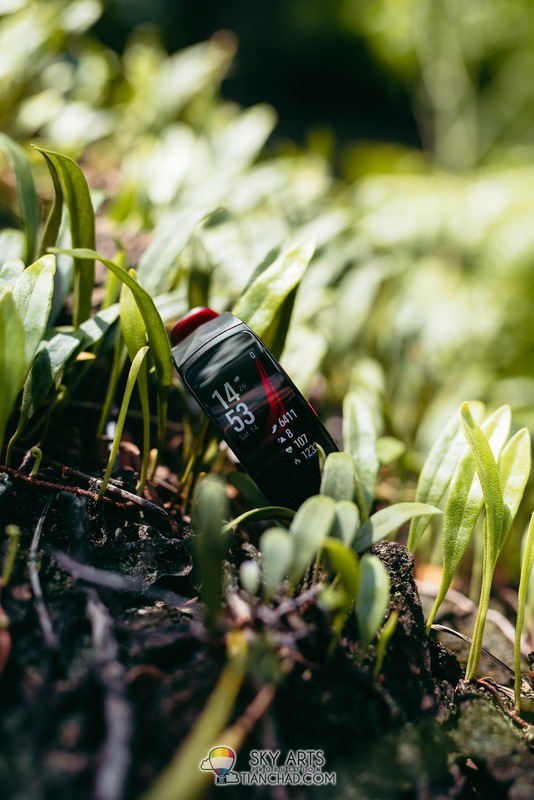 I am actually using the Gear Fit2 Pro as my fitness partner the moment I publish this post. Okay it's time to stretch my hands. 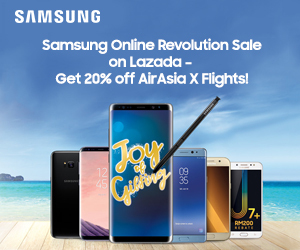 You can buy your favourite gadgets from Lazada x Samsung Official Online Store. 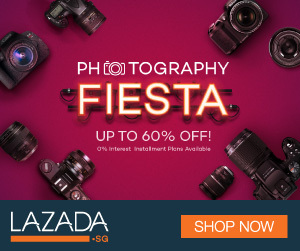 You don't pay extra when you purchase through these links, but I will able to get a small tokens of referral when you make a purchase at no cost. Happy shopping and let's stay fitter in year 2018! When Do I Blog? Again?